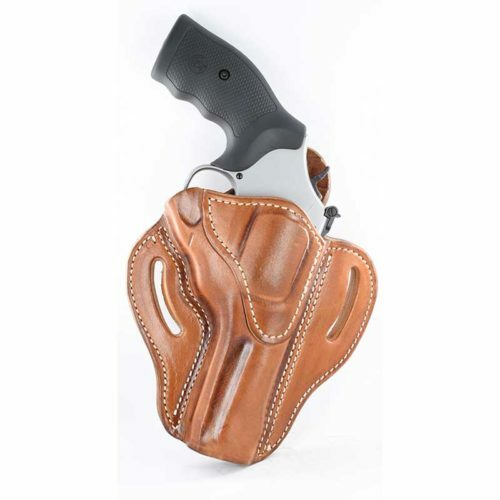 Outside the Waistband holsters, also referred to as OWB holsters, are the most popular carry option in America. 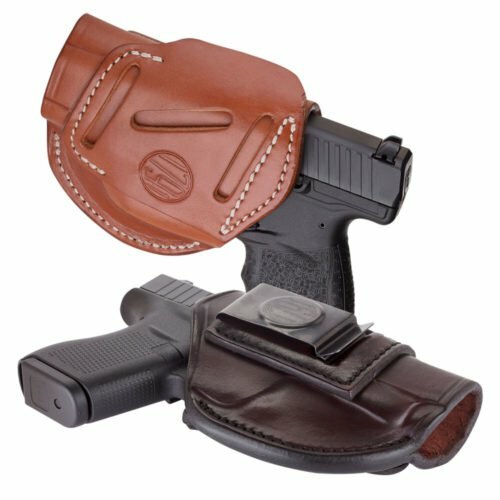 These holsters are comfortable, trustworthy, versatile, and easily accessible. You may choose to openly carry your personal firearm on your belt, or you may still conceal beneath flannel shirts, hoodies, and jackets with Outside the Waistband rigs. 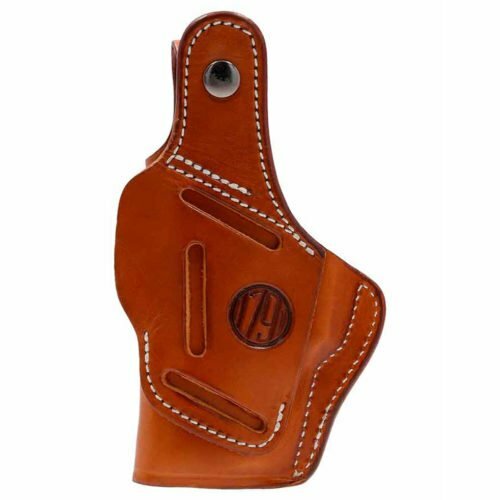 At 1791 Gunleather, fourth-generation leather artisans handcraft premium 100% Certified American Heavy Native Steerhide to create reliable holsters that hold your prized possessions snug and secure, no matter which type of gun you own. We choose leather as our raw material of choice because it does not warp on a hot day. It doesn’t shatter across a weak plane with age. 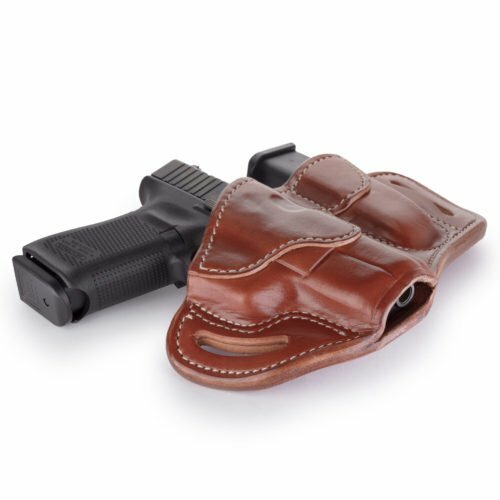 Instead, high-quality leather looks natural and ruggedly handsome from one generation to the next, breaking in and stretching just enough to comfortably conform to your body – all the while holding your pistol perfectly in place. 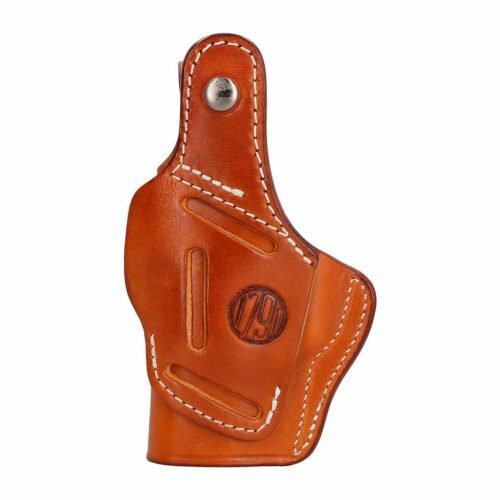 All OWB holsters are backed by a Lifetime Warranty, so you can take confidence in the quality of our craftsmanship. Open top holsters are common among law enforcement in need of easy access for a quick draw. We offer models that fit Glocks, Browning, Beretta, Colt, Smith & Wesson, Springfield, and Sig Sauers. 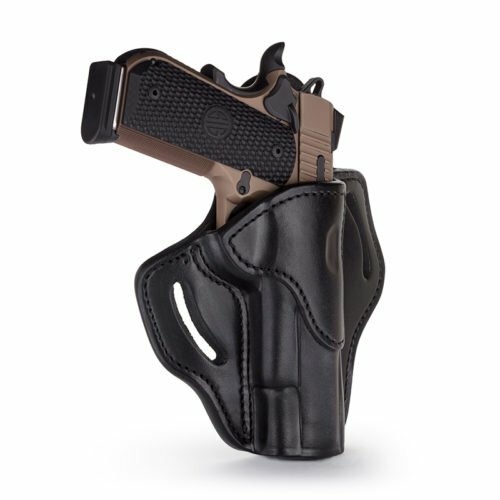 Paddle holsters that fit inside the waistband are popular because they allow for personalized grip angles and cants. However, low-profile belt slide holsters allow for better maneuverability on the belt, which is particularly helpful when getting in and out of vehicles. Some citizens prefer OWB holsters with the added safety measure of a thumb break, which prevents assailants from removing the weapons. 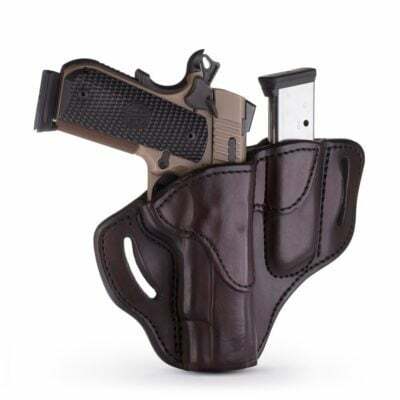 Outside the Waistband holsters with multi-fit design are made to accommodate a wide range of different weapons, including Beretta, Browning, Colt, FN, FNX, Glock, H&K, Kimber, Ruger, Sig Sauer, Smith & Wesson, and Springfield. We have models that fit hard-to-accommodate models like the 1911s – Commander size or without rails. 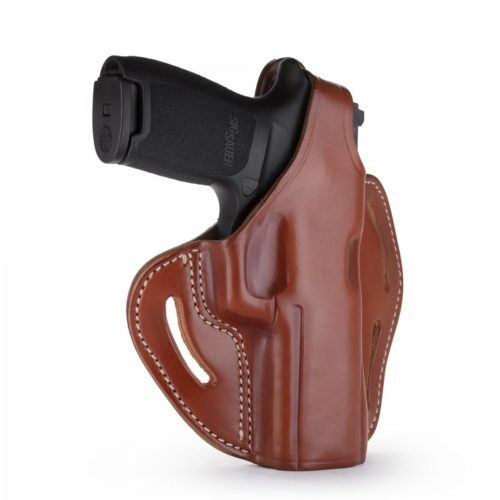 OWB holsters come in right-handed, left-handed, or ambidextrous designs that meet the standards for individual comfort. 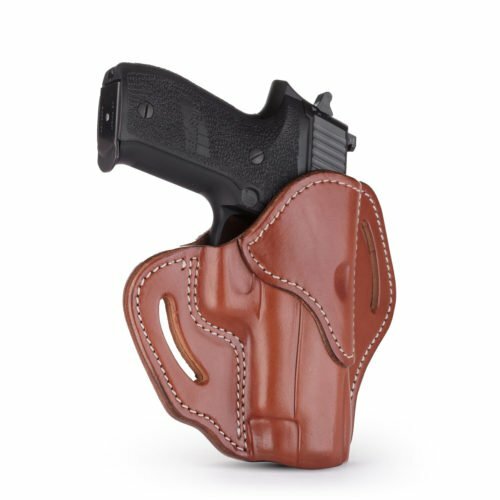 Comfortable and breathable, our low-profile smooth concealment OWB holsters treat your pistol right with protective, smooth suede interiors that protect the bluing. Concealment and convenience are at the heart of our designs. 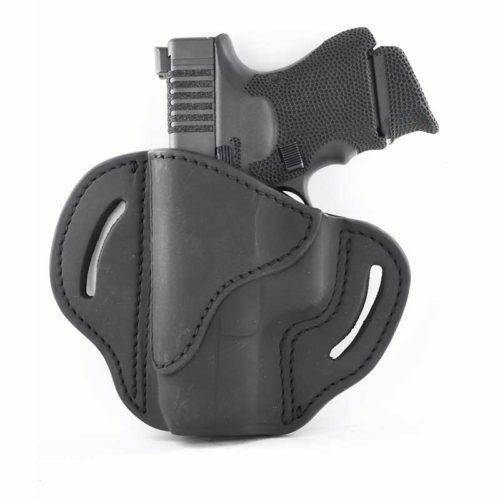 Carry preferences include Vertical, Horizontal, Cross-Draw, and Inside-the-Waistband positions. With the 2WH, you can position your firearm vertically in the middle of your back for perfect concealment or carry openly using the adjustable belt clip. A 3WH can accommodate Vertical, Horizontal, or Cross-Draw positions anywhere on the belt for easy use and added comfort for your shoulder. A 4WH adds the IWB carry position. 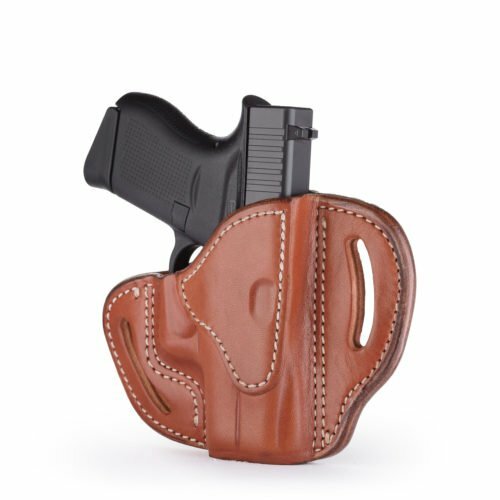 Having the right holster is not just about safety, but about confidently exercising Second Amendment rights and showing off personal style. 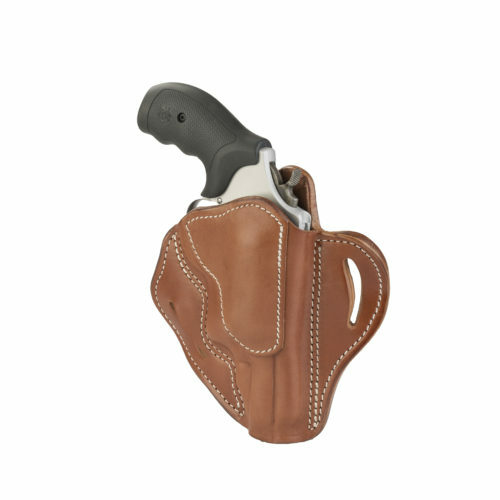 Many customers choose leather OWB holsters due to the versatility of design. Most models come in your choice of Classic Brown, Signature Brown, Brown on Black, or Stealth Black. Why Carry Outside the Waistband? Outside the waistband holsters connect to the belt using J-hooks, clips, and loops. 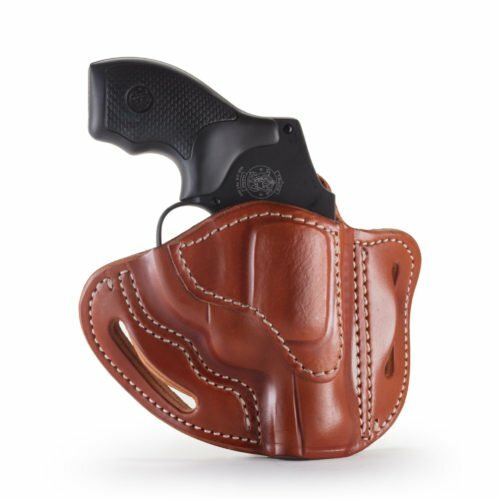 Traditionally, OWB holsters are worn on the wearer’s dominant side, with a slightly forward cant at three o’clock. 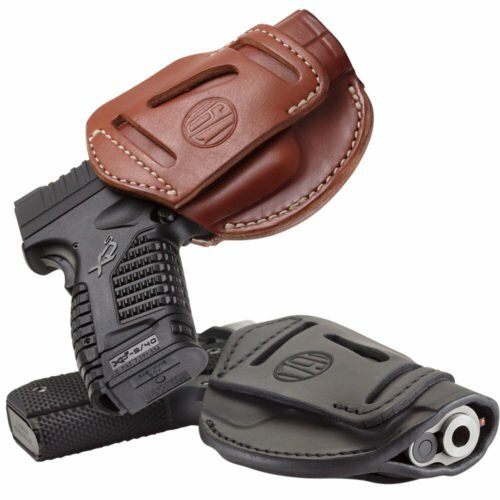 They may be more obvious to carry in public, but there are many advantages to this type of holster. Accessibility: OWB holsters keep your weapon close where you need it, allow for easy, immediate access. Re-holstering: When you’re out on the range, you need straightforward re-holstering. Law enforcement can also benefit from easy re-holstering upon finding themselves in a non-threatening situation. Unlike an IWB holster, OWB holsters do not have the pressure of the belt pulling them shut. 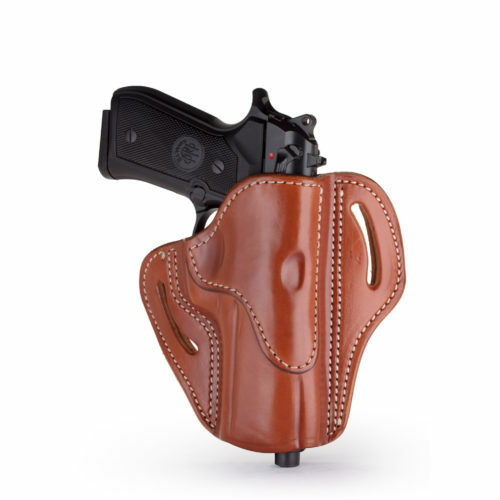 Ease of Use: OWB holsters are well-suited for beginners and most users. Many people who wear guns to protect their own properties needn’t worry about concealing their weapons anyway. Open Carry: Some states have open carry laws that mandate users must make their weapons visible if they are carrying in public. There are also circumstances where possessing a credible deterrent is prudent. Comfort: OWB holsters lets you openly carry with no clothing restrictions. You can wear your normal size clothing, a tucked-in shirt, and go out without a jacket if you please. OWB holsters fit snugly against the torso with fore and aft belt loops to keep the firearm in place with even weight distribution. 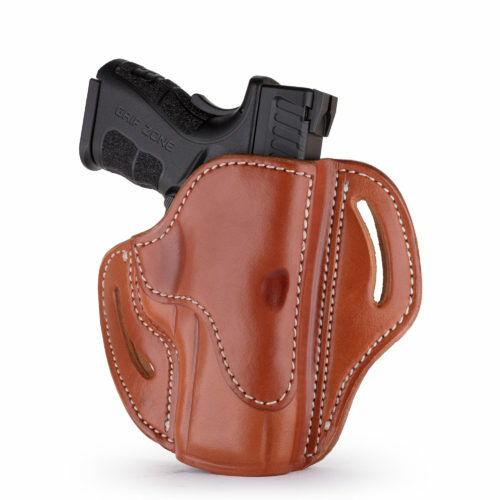 Design Choices: Outside the Waistband holsters offer a wider selection of styles and designs. Don’t settle for a drawer full of OWB holsters you can’t use. 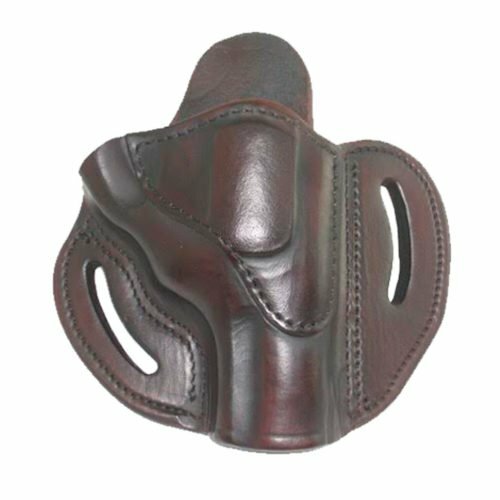 Invest in one durable holster from 1791 Gunleather, designed by true artisans, to have the superb reinforced stitching and snug fit you deserve for your prized possession. 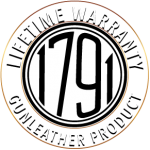 Contact 1791 Gunleather to learn more about outside the waistband holsters that embody original style, craftsmanship, construction, and comfort, and originality. We are a small, friendly company that loves speaking with fellow gun enthusiasts. No question is too trivial to send our way. We’re happy to discuss specific makes and models to recommend a tailored fit. We support law enforcement and veteran charities like Anteris Alliance and Wounded Warrior. You can find our products at over 1,200 dealers nationwide or we also ship directly.